3 items tagged "Multiple Characters"
Candy Jump Is addictive Game , reach higher score on Candy Jump. This game made by buildbox software have over 50+ Random generate level make it more challanger. you can add admob banner and easy to get more revenue from this game. 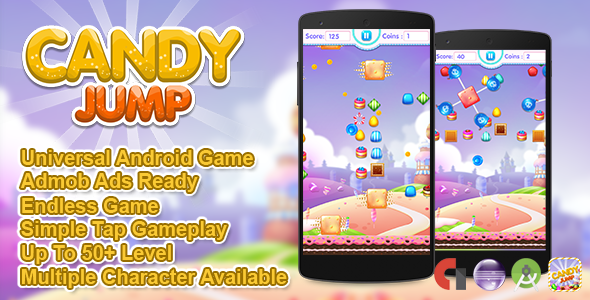 this game also have share button, mute button, shop menu, that you can customize easily.. this Game Based by Cocos2D Library and made by Buildbox Software. and be Warned: this game insanely Addictive! 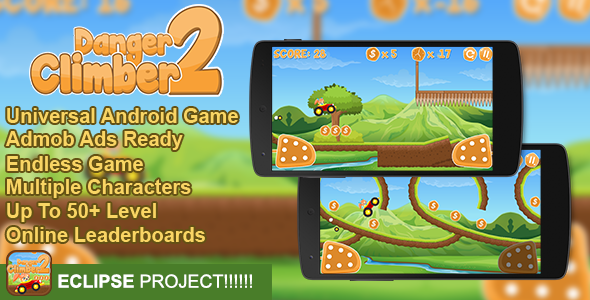 Danger Climber 2 Is addictive Game, reach higher score on Danger Climber 2. This game made by buildbox software have over 50+ Random generate level make it more challanger. you can add admob banner and easy to get more revenue from this game. this game also have share button, mute button, shop menu , that you can customize easily.. this Game Based by Cocos2D Library and made by Buildbox Software. and be Warned: this game insanely Addictive!